More Of Him: Book Review - Christmas Time, It's All About Jesus! Book Review - Christmas Time, It's All About Jesus! Since Christmas is such a captivating time of year, it's the perfect setting for telling children about this miracle of the Lord Jesus Christ's birth. Using selected passages rom the first chapters of the gospels of Matthew and Luke, Christmas Time, It's All About Jesus! tells the story of Jesus' birth in a charmingly poetic and child-like way. The sensational illustrations create an unforgettable image, so a child can always remember the true meaning of Christmas. Sue Murray Barksdale has been a pastor's wife, mom and educator for over 30 years. 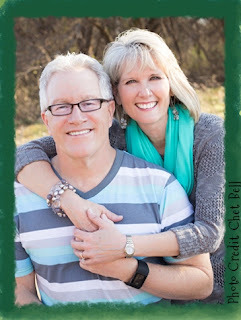 She and her husband Russ live in Arlington, Texas, where Russ pastors The Church on Rush Creek, a multi-site church. Sue has a BS in Elementary Education from the University of Houston and enjoys teaching at a public charter school in their neighborhood. This is one of the sweetest children's books about Christmas I have ever read. What's really wonderful about it is that it focuses on what Christmas is truly about - the birth of Jesus Christ! The story is written in a rhyming fashion that is so cute, yet truly understandable. In fact, it helps to remember what you've read because it does rhyme. I really liked how everything was very Biblical and how the author also talked about Elizabeth and Judah, which is such an important part of the story of Jesus, in my opinion. 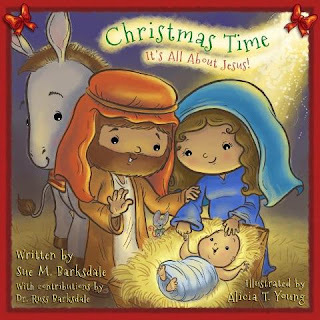 The book also gives you Christmas devotions to share with your children and these share more of who Jesus is and how He is the salvation of the world. This is done very nicely for young children in a way they can understand. There are short little prayers that go along with the devotionals. They are very well done and very touching. I absolutely adore the illustrations! They are so well done and go perfectly along with the story. They are such sweet illustrations and will capture the attention of any child. I really liked this wonderful little book and highly recommend it. I give it 5 out of 5 stars. Thank you Julie, for the excellent review. I love Christmas, but it really is about Jesus, and teaching our children the same is so important. Thank you so much, Julie, for the wonderful review of Christmas Time! I pray this book will be used in the lives of families to keep the focus of the season on Jesus! God bless you!